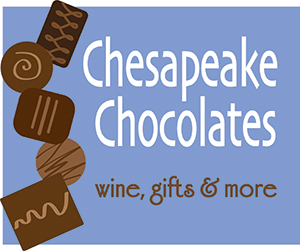 Lake Anne Roots Music Festival Debuts on the Plaza July 8th…Chesapeake Chocolates Celebrates 10th Anniversary!! Lake Anne Plaza hosts a new music festival featuring modern Americana tunes lakeside on the plaza. 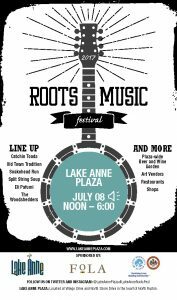 The Lake Anne Roots Music Festival will take place on Saturday, July 8th from 12:00-6:00 p.m. and will feature a variety of modern roots music performers. 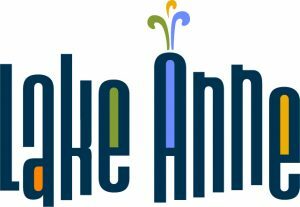 In conjunction, Chesapeake Chocolates, Wine, Gifts and More will celebrate our 10th Anniversary on Lake Anne Plaza…see the next post for complete information. The free festival will offer a full day of folk, bluegrass, blues, old time, and everything in between, paired with a pop-up beer and wine garden. Original roots band The Woodshedders will headline the festival bringing their hard to classify Americana shape-shifters sound to Lake Anne. The band has played in several notable festivals including the Red Wing Roots Music Festival, Deep Roots Mountain Revival, Bristol Rhythm & Roots Festival, Mountain Stage New Song Fest, and the Kingman Island Bluegrass Festival. The festival is sponsored by Lane Anne Merchants and the Reston Community Center. For the full schedule of events/times,visit www.lakeanneplaza.com.